Continuing with our ongoing coverage for Download 2018 and to commemorate the festival celebrating its 15th anniversary, we here at Rocksins have delved deep into the archives and looked back through all the lineups and all the rumours and have found 15 bands that have never played the festival. Download Festival has proudly carried the torch long left behind by Monsters of Rock and Ozzfest many years ago. Over the course of its 15-year history, it has been a showcase for some of the most incredible performances in rock and metal and has created new legends in the process. But with each new year comes the upping of the ante as it keeps getting bigger and the audience demands more, you have to keep giving the people what they want. With that in mind there are some bands who have slipped through the cracks over the years, here we present you with our pick of 15 of the most notable bands who have never played the Download Festival, will that change in the years to come? only time will tell. Legends in their own right, Foo Fighters are no strangers to UK stadiums and UK festivals alike. With Reading & Leeds, Glastonbury, and Isle of Wight Festivals all on their impressive resume. Talk to most fans of Download and they will tell you the Foo Fighters are pretty high on their list of dream headliners, and with the massive crowd-pleasing set of songs in their arsenal, it’s not hard to see why. Dave Grohl has been here once before Them Crooked Vultures, maybe he can be tempted back with his day job someday soon? One of the headliners of the original Monsters of Rock and with their recent induction into the Rock & Roll Hall of Fame, it seems like a no-brainer to have Bon Jovi and Donington back together again right? Well, the stars haven’t quite aligned yet, but Keep The Faith fellow Downloaders, Bon Jovi are one of the last big holdouts and you have to think that before Jon and the boys hang it up for good that they will visit the hallowed grounds one last time. At one time Smashing Pumpkins were one of the biggest bands in the world. They have some of the most timeless modern rocks songs under their belts and seeing then smash out a succession of absolute classics with your mates would be an absolute dream. With most of the classic lineup back together and a new album imminent then maybe we will see them sooner rather than later. The closest thing we have had to Smashing Pumpkins at Download is when Zwan played in 2003, but I think we can all agree it’s not the same. Red Hot Chilli Peppers are one of those bands who defined a moment in time within the music scene. Admittedly they have missed a few steps over the last decade, but when they are on form they are untouchable, with a collection of songs that are tailor-made for drinking in the sun with your friends. Given the right setlist and a renewed energy, they could turn up at Donington and show everyone once again why we all fell in love with them in the first place. Green Day are another one of those bands who always creep into the conversation when it comes time to talk headliners year in and year out. Seemingly the only band of their kind who is still able to fill stadiums and headline festivals the world over. They have the legacy and the songs to back it up, and as anyone who has seen their Bullet in a Bible DVD will attest to, If you put Green Day in front of the Donington faithful then there is no way that a good time wouldn’t be had by all. Another legacy band who have shockingly never made it to Download are Pearl Jam. They are always a talking point and they are still one of the most vital and intense live bands around today. With the ability to fill baseball stadiums, arenas and festivals all over the globe without even batting an eye. Pearl Jam have so many amazing songs that they could feasibly headline all three nights of Download and play an entirely different set of classics each night without breaking a sweat and we would love every minute of it. Trent Reznor and the brain-searing genius of Nine Inch Nails is one of the most awe-inspiring live bands on the planet. They are no strangers to the festival audience, but for some reason, they have never made the pilgrimage to Download, the closest they have come being the first Knebworth Sonisphere. Whether this is down to them or the promoters it’s not really sure, but the fan demand is definitely there. One of the greatest performers of all time playing some of the greatest music ever committed to tape in a live show that rivals even the biggest of big on their best day, it’s astounding that this hasn’t already happened. Van Halen are the holy grail when it comes to Download Festival Headliners. They have been playing the, will they? won’t they? game over the course of the festival’s existence, and who knows if we will ever see them at Download. 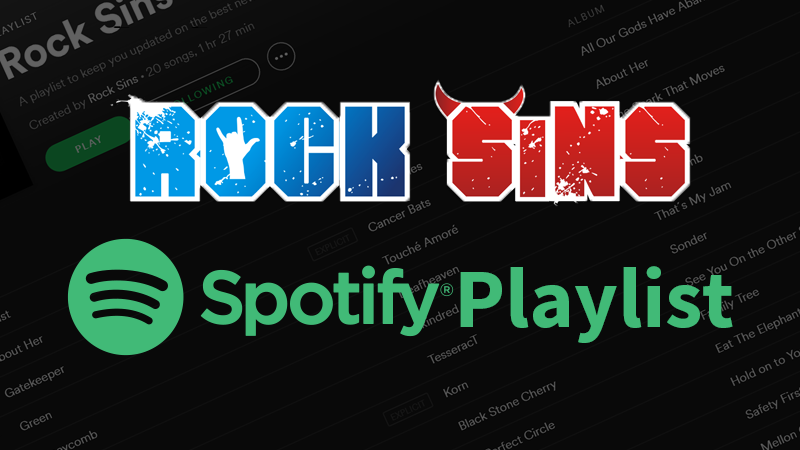 Much like we said with Bon Jovi, they are one of the last bands left from the Monster of Rock days that have yet to crossover to Download. I can tell you now until the day either Download shuts up shop or Van Halen call it a day there will always be that desire to see them rock Donington one more time. Every year Download brings out the big guns and has pulled some absolute blinders in the classic rock stakes with Journey, Whitesnake, Twisted Sister and Def Leppard among some of the legendary band who graced us with their presence. But what about the Wilson Sisters and Heart? they have been putting new music and touring pretty frequently over the last few years. One of the greatest rock bands of all time, doing a set full of those songs? come on, I can’t be alone in thinking that would be amazing. The progfathers themselves. For 40 years Rush brought some of the most ingenious music around and were an absolute force to be reckoned with live. While they may have been a little niche for some, it’s hard to deny their impact and legacy. Arguably more popular now than they ever have been, they have reached godlike status amongst the faithful and I think we can all agree it would have been something else to see them melt the brains of 90,000 metalheads over the course of a set that would have been nothing short of inspired. But alas, it wasn’t to be. Queen are one of the greatest bands of all time. That is not up for discussion, it’s simply the truth. Over the course of Download’s 15-year history, they have reformed and had two different vocalists including Paul Rodgers and now Adam Lambert. They have continued to conquer the world and bring audiences all over the world to their knees. You can make the argument for or against Queen without Freddie Mercury until you are blue in the face, but the fact remains if they pulled up to Download with every one of those legendary songs you will see the biggest sing along in the festival’s history guaranteed. Maynard James Keenan brought the enigmatic Tool to the Download Festival masses in 2006 but has yet to bring his equally brilliant other project A Perfect Circle with him. With UK shows and a new album appearing this year, many of us held our breath for a Download Appearance, but it wasn’t in the cards. We can still hope that maybe one-day Manyard and company will spread a little darkness over Donington, and until the day they do, we will console ourselves by listening to their excellent new album on repeat. Arguably the most divisive of bands on the list, but also one of the biggest. Nickelback. took the blueprint for writing big stadium-ready rock songs and ran with it. You may not like them, but you cannot deny the how immeasurably popular they are, selling out arenas left right and centre over multiple nights. It always seemed inevitable they would make their way to Donington one day, but that day has yet to come. They have said previously that they prefer playing their own shows to festivals, so they still remain a bit of a dark horse, but you know there is still a chance that one they could be persuaded to make an appearance. 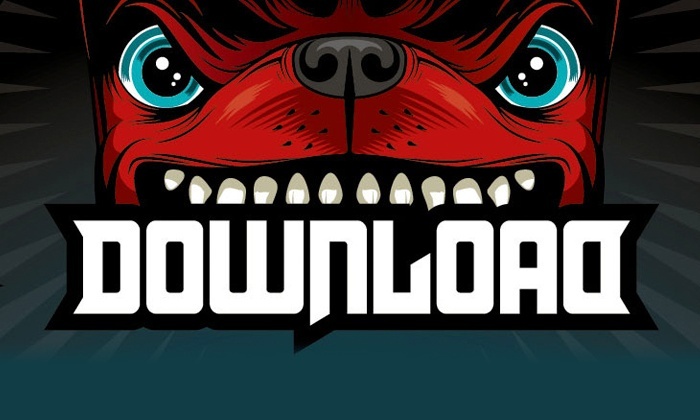 Download 2018 takes place from the 6th – 11th of June (bands from 8th – 10th June), headlined by Avenged Sevenfold, Guns N’Roses and Ozzy Osbourne. Tickets for both the full weekend and individual days are still available and can be obtained right here. Stay tuned to Rock Sins for even more Download Festival build up, and then full coverage of all the weekends’ action!